Now Serving LOMA COFFEE COMPANY very fine coffees! LOMA COFFEE BAR is now serving our very own freshly roasted coffee beans. 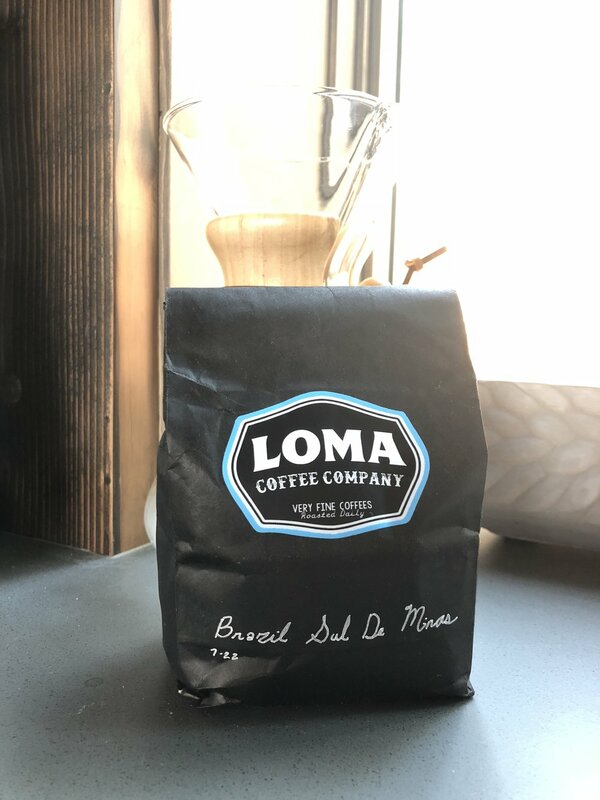 LOMA COFFEE COMPANY is a new project that Kevin Youkilis, owner of Loma Brewing Company, and roaster Brandon Smyth in Portland, OR have teamed up to produce delicious artisan coffee. Brandon's passion for outsourcing and roasting fresh green beans from around the globe is evident in every roasted batch. This heirloom varietal is sourced from family owned farms living near Hambela Wamena woreda, located inside the always shifting borders between the Sidamo and Guji Zones in Southern Ethiopia. Regional maps have been drawn and redrawn, and names of districts and neighborhoods have changed multiple times in the last two decades. Honing in on the particulars of a region can be difficult in Ethiopia. Fortunately, the mill is now tagging and directly exporting its bags, which allows us to import this coffee with accuracy. Prior to it's labeling project, this area was slated to blend whatever it had into the local macro mill and was simply labeled "Washed Sidamo." Coffee farmers deliver ripe cherries to the Deri-Kochoha mill where they are sorted and de-pulped. After de-pulping, the beans are then fermented for 36 to 48 hours, and washed. The beans still in pergamine are placed on raised drying beds in thin layers and raked every 2 to 3 hours during the first few days of the drying process. Depending on the weather, the beans are then dried for 10 to 12 days on raised beds. This micro-milled lot was prepared to the very high Grade 1 standard and is a great example of the Ethiopian Heirloom flavor profile. Brazil Sul de Minas Red Catuai Natural (16+ screen size) is sourced from two family estates in the Sul de Minas growing region near the city of Varginha within the state of Minas Gerais, Brazil. Fazenda Gericó has been in the Resende family for three generations. Álvaro Mendes de Resende, who owns and manages the estate is the founder’s grandson. Fazenda Tahiti is owned and managed by the husband and wife team of Claudio Gutierrez and Mariana Meirelles Gutierrez. Mariana comes from a family of coffee producers and encouraged her husband to leave his banking career to join in her passion for coffee. Both families continue to manage their estates on a foundation of tradition but they also work closely with the MinaSul cooperative where their coffees are evaluated and prepared for export using a State-Of-The-Art cupping lab and milling equipment. Guatemala Huehuetenango Finca La Providencia Palhu is located in the municipality of San Pedro Necta, within the department of Huehuetenango, Guatemala. La Providencia is owned and operated by Maximiliano Palacios (Max), a third generation coffee farmer. The name of the coffee, Palhu, is formed from a combination of the family name Palacios and the department of Huehuetenango. The heart of La Providencia is a beautifully maintained mill that begins at at the apex of the sloped property, designed to take full advantage of gravity, where the ripe cherries are placed in water and carried through the depulping process on a series of intricate canals to the drying patios below. The YOUK! espresso blend is made up of four parts: Guatemala Huehuetenango (30%), Brazil Sul De Minas (20%), Ethiopia Yirgacheffe G2, (15%) & Peru Vida Alta (15%). The coffees in the blend will vary as feedback from Steven comes in and the blend preforms well for Loma. The goal is to have a consistent and dynamic flavor that stands out in milk and on it's own as a shot.